Welcome to Macphisto's Lair. 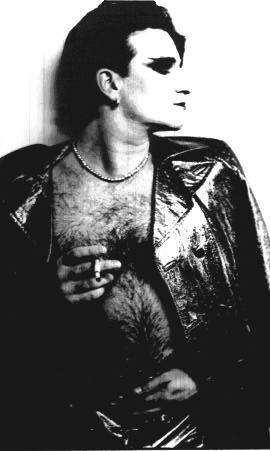 Look around...enjoy...soak in the aura of one of Bono's alternate personas! "For me you see it more in corporate life... There are probably countless guys in suits who have given up their soul to succeed in what they do. Because there is a great power people have if nothing will get in their way, if they have no morality, no uncertainty, no doubt. All those things trouble the spirit. This, to me, is where darkness lies..."
"From the introduction of MacPhisto on, it's all cabaret. 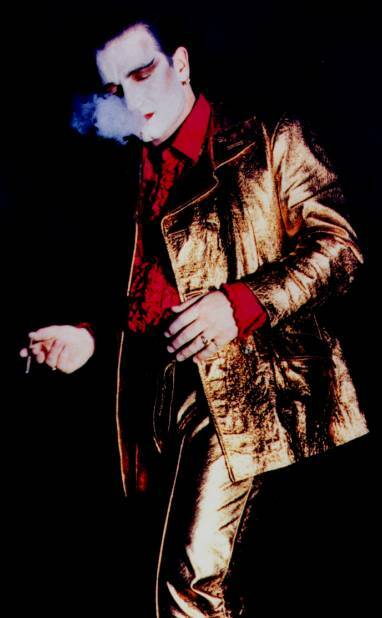 MacPhisto is The Fly down the line. When he goes into falsetto on Can't Help Falling In Love, it's the little boy inside the corrupt man breaking through for a moment." "...This whole question about the nature of the devil is very important to me. But I don't necessarily see the devil in the kind of darkness most people associate with the devil. Like in those dens of iniquity or illegal drinking houses or wherever." 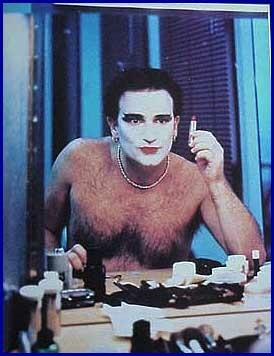 So what are all the things that MacPhisto tries to press into our heads that Bono supposedly got from Screwtape Letters? 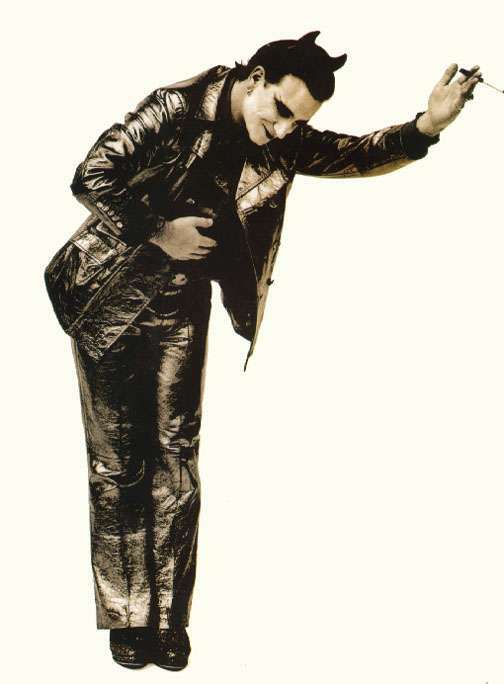 Vanity "Look what you've done to me, you've made me very famous and I thank you for it"
Who was the Mirrorball Man really supposed to be? 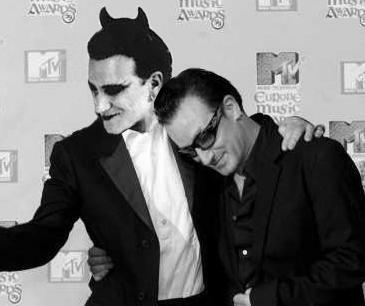 Bono says "Well, the devil." "Then," Gaving says, "he should wear horns." 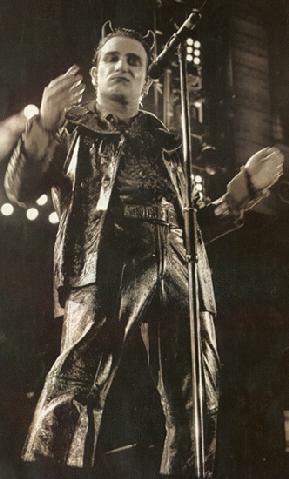 Bono thinks that's ridiculous, it's too blatant. 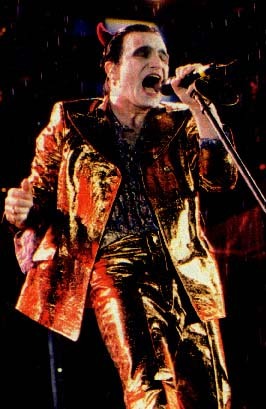 But Fintan secures some red horns and when Bono tries them on with whiteface and lipstick and platform shoes and aged British voice, he likes what he sees. 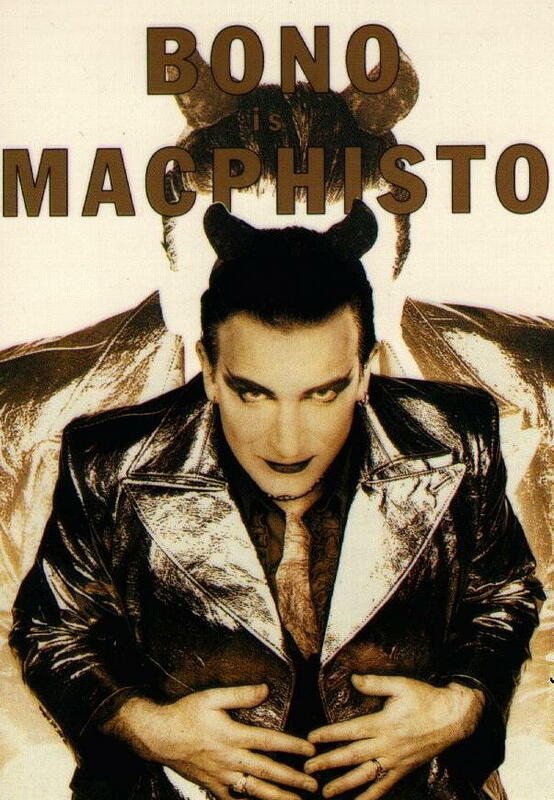 He sees MacPhisto, the devil as the last rock star. Below is a picture of Machphisto in.......Vatican Square?? How did he manage to get inside the place? Ha ha ha....Look at the people behind him. I wonder what they were thinking? Thank you for visiting Macphisto's Lair....please come again!